Winter in North Iowa may be cold...but heats up with community activities that will surely bring fun and lots of laughter and smiles to all. So if you are tired of being cooped up in the house, come out and enjoy some fun. Last weekend was "The Jack" snow mobile races on the lake that brought many spectators and participants alike to the area. 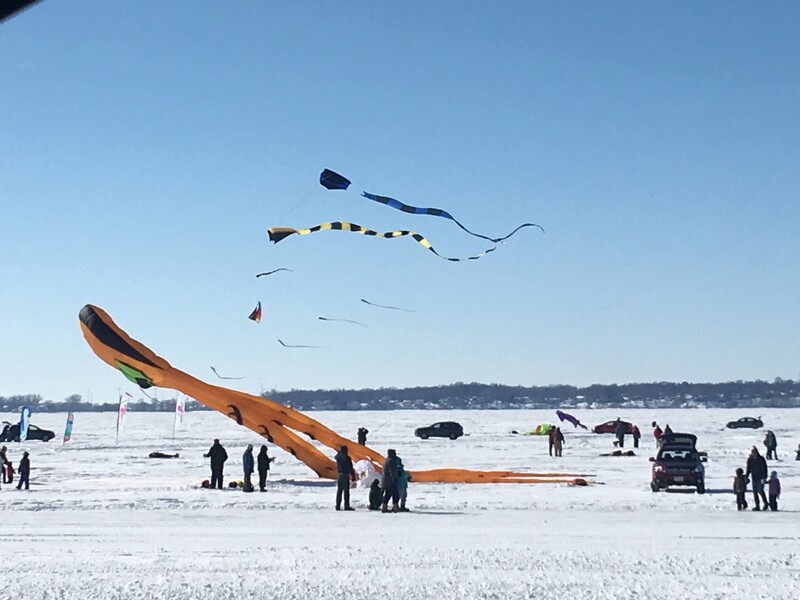 Color the Wind kite festival is February 16th, 2019 that is a spectacular display of colorful gigantic kites down near the Seawall area and lake in downtown Clear Lake. Check out the kite making program and the Arts Center while you are here! Hot chocolate, food, music, and fun for all ages!